Luxury retailers are smiling. So are the owners of high-end restaurants, sellers of upscale cars, vacation planners, financial advisors, and personal coaches. For them and their customers and clients the recession is over. The recovery is now full speed. But the rest of America isn't enjoying an economic recovery. It's still sick. Many Americans remain in critical condition. The Commerce Department reported Thursday that the economy grew at a 3 percent annual rate last quarter (far better than the measly 1.8 percent third quarter growth). Personal income also jumped. Americans raked in over $13 trillion, $3.3 billion more than previously thought. Yet it's almost a certainly that all the gains went to the top 10 percent, and the lion's share to the top 1 percent. Over a third of the gains went to 15,600 super-rich households in the top one-tenth of one percent. We don't know this for sure because all the data aren't in for 2011. But this is what happened in 2010, the most recent year for which we have reliable data, and there's no reason to believe the trajectory changed in 2011 or that it will change this year. In fact, recoveries are becoming more and more lopsided. The top 1 percent got 45 percent of Clinton-era economic growth, and 65 percent of the economic growth during the Bush era. According to an analysis of tax returns by Emmanuel Saez and Thomas Pikkety, the top 1 percent pocketed 93 percent of the gains in 2010. 37 percent of the gains went to the top one-tenth of one percent. No one below the richest 10 percent saw any gain at all. In fact, most of the bottom 90 percent have lost ground. Their average adjusted gross income was $29,840 in 2010. That's down $127 from 2009, and down $4,843 from 2000 (all adjusted for inflation). Meanwhile, employer-provided benefits continue to decline among the bottom 90 percent, according to the Commerce Department. The share of people with health insurance from their employers dropped from 59.8 percent in 2007 to 55.3 percent in 2010. And the share of private-sector workers with retirement plans dropped from 42 percent in 2007 to 39.5 percent in 2010. If you're among the richest 10 percent, a big chunk of your savings are in the stock market where you've had nice gains over the last two years. 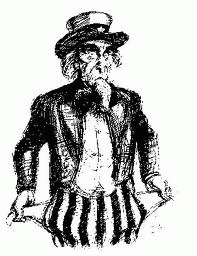 The value of financial assets held by Americans surged by $1.46 trillion in the fourth quarter of 2011. But if you're in the bottom 90 percent, you own few if any shares of stock. Your biggest asset is your home. Home prices are down over a third from their 2006 peak, and they're still dropping. The median house price in February was 6.2 percent lower than a year ago. Official Washington doesn't want to talk about this lopsided recovery. The Obama administration is touting the recovery, period, without mentioning how narrow it is. Republicans would rather not talk about widening inequality to begin with. The reverse-Robin Hood budget plan just announced by Paul Ryan and House Republicans (and endorsed by Mitt Romney) would make the lopsidedness far worse -- dramatically cutting taxes on the rich and slashing public services everyone else depends on. Fed Chief Ben Bernanke -- who doesn't have to face voters on Election Day -- says the U.S. economy needs to grow faster if it's to produce enough jobs to bring down unemployment. But he leaves out the critical point.